George Whitefield is considered the greatest evangelist of the 18th century and was a major contributor to the 'Great Awakening' in Colonial America. Born in 1714 of humble origins, he grew up to become a very popular preacher. Churches were packed, bubbling over with eager anticipation to hear him. His preaching was described as apostolic, bold, purely gospel, with an immensity of pathos. His voice was so powerful that 30,000 people could hear him at once. 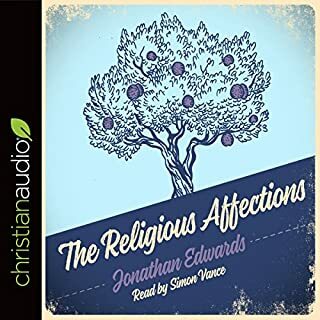 This audiobook details some of the most important writings in the life of Jonathan Edwards. His personal conversion story is intense as he describes the "sense of glory" that permeated his soul. Edwards also details his January 1723 dedication in which he offered all of himself without restriction or regard to his own life. 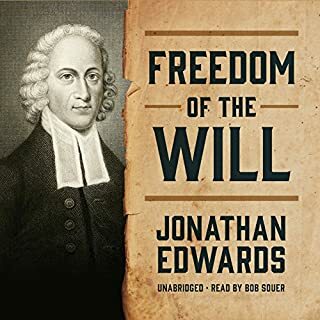 The 70 resolutions of Jonathan Edwards were written over a year time period, and Edwards read them on a weekly basis. In the late afternoon of April 18, 1521, in the city of Worms, Germany, Martin Luther, a 37-year-old Catholic monk, appeared before Charles the Fifth, the Holy Roman Emperor at the imperial assembly. Luther was called to answer certain charges and to make public confession to the 'errors' found within the multitude of books he had written. 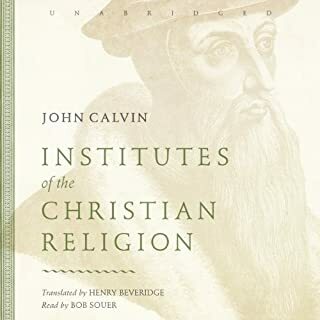 The speech he delivered that day, Here I Stand, marked the beginning of the Reformation, a critical turning point in Christian history that decisively altered the spiritual map of the world. 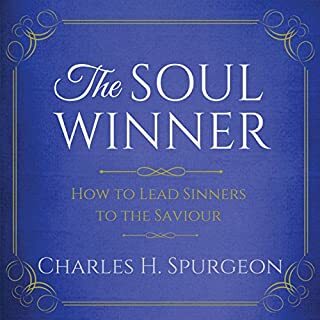 A Defense of Calvinism is a classic text by Charles H. Spurgeon. 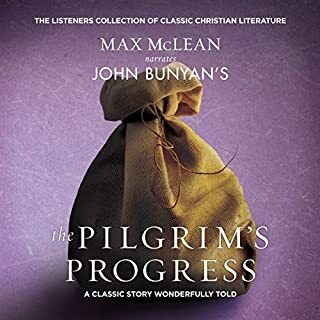 This rendition is beautifully narrated by Bryan Nyman. The quintessential hellfire and damnation sermon that reportedly caused mass conversions and repentances. This used to be (and in some places still is) taught as part of the US high school American literature curriculum. Perhaps more controversial today than in 1741! The gist of it that God doesn't owe us one second of life. It is up to us to repent and believe the gospel now and not wait or reject it. As careful as we might be doesn't mean a thing when it's time to die. Receive Jesus Christ now while you have time. Tremendously sermon by Jonathan Edwards and brought alive by David Plinge. 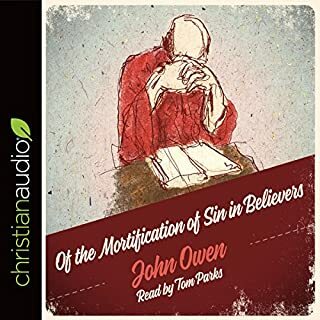 Very important sermon depicting the wrath of almighty God toward all that reject his grace and mercy. All Adam's children need to know this <br />with love. John 3:16 says _God so loved the world that He gave His only begotten Son that who so ever believes in Him should not parish but have eternal life. God does not want nobody to parish to Hell. That is why He sent JESUS to pay the price with His blood for our sins. Please believe in Jesus and that He paid for your sins. Please_ Become Born Again_ so you can avoid the place apart from God called Hell. Hell was made for the Devil and his fallen angels, not for you. We all have a choice.. pick God. 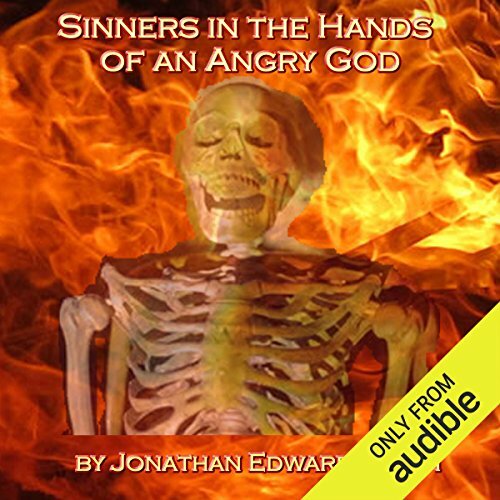 Every person, Christian or not must hear this eloquent but stern, and sobering sermon by Edwards. This book spells out God's great mercy on mankind and His desire to save us from Hell.